Distemper in dogs is a highly contagious viral infectious disease, which can be life-threatening. Vaccination is the only way to protect dogs from getting infected. 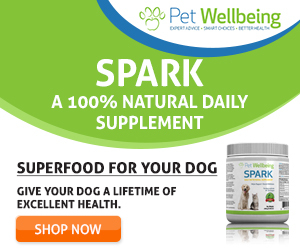 Dogs may not show any symptoms at the onset. Read on and learn more about canine distemper symptoms, cause and treatment. Distemper is caused by a virus that is similar to the one that causes measles in humans. It is a highly contagious disease and is the leading cause of death in the category of infectious disease in dogs worldwide. Dogs who do not receive vaccinations against the distemper virus are at high risk of infection. The distemper virus can adversely affect a number of body organs, including the brain, the eyes, the skin, as well as the intestinal and respiratory tracts. An infected dog can shed the distemper virus in all body secretions, such as urine. The virus can also be spread through the air such as through coughing. Inhalation of the virus is the main source of exposure. Another possible way for dogs to be exposed to the virus is through contact with some wild animals such as foxes, skunks, and raccoons. The reason is, the distemper virus affect these animals as well. 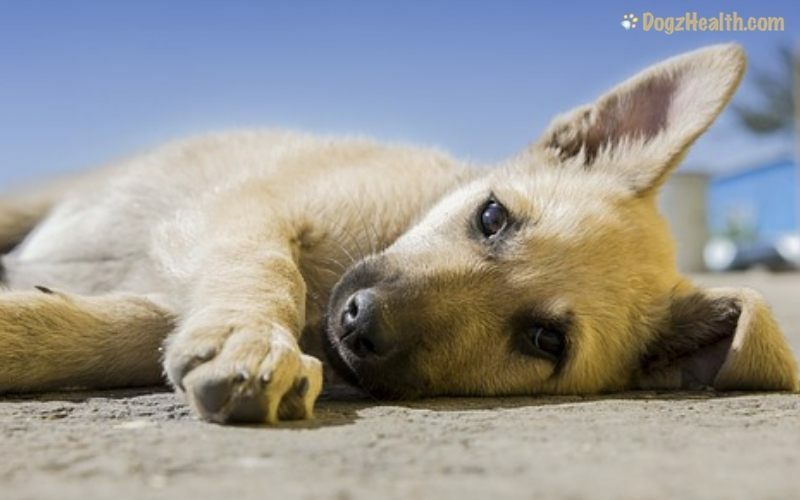 Dogs of any age can get canine distemper, but young puppies less than four months old and unvaccinated puppies who are 6 to 12 weeks of age are most vulnerable. Distemper in dogs can be prevented almost 100 percent by vaccination. Many dogs (about 50%) with the distemper virus show little or no symptoms at all. Canine distemper tends to affect dogs with weakened immune systems more severely than healthy dogs. The first signs of infection usually appear 6 to 9 days after exposure. In mild cases, dog owners usually cannot notice any signs. The distemper infection develops in two stages. The first stage is the “mucosal stage”. It involves the mucous membranes (eyes, respiratory and gastrointestinal tracts). The second stage is the “neurologic phase”. It involves the central nervous system. At this point, some dogs, especially the healthy ones, may recover from the disease. Weaker ones whose immune systems are not strong enough to fight off the virus will allow the disease to progress to the second stage, which occurs 2 to 3 weeks after the onset of the infection. The second stage often involves infection of the brain (encephalitis). In some dogs, their footpads and nose leather may also harden. There is no medication for distemper in dogs. The only real treatment is supportive care. At the same time, the vet will try to strengthen the dog’s immune system so that the body can fight off the disease. Supportive care depends on the symptoms. For example, to treat pneumonia brought on by secondary bacterial infections, the vet may use antibiotics. To prevent dehydration, the vet will use intravenous fluids. Anticonvulsants and sedatives are used to control seizures, etc. Distemper that has affected the brain is particularly difficult to treat. Very often, if distemper causes encephalitis in the dog, euthanasia is unavoidable as treatment is most of the time inadequate and ineffective. Since distemper is a disease to be fought off by the body’s immunity, it is important to strengthen an infected dog’s immune system. Vitamin C is helpful to boost the immune system and to fight infection. If your dog has a fever, give him vitamin C supplements, such as Wholistic Pet Organics Ester-C Supplement . (Dosage: For small dogs (and puppies), give 250 mg/2 hours; for medium dogs, 500 mg/2 hours; for large dogs, 1000 mg/3 hours). 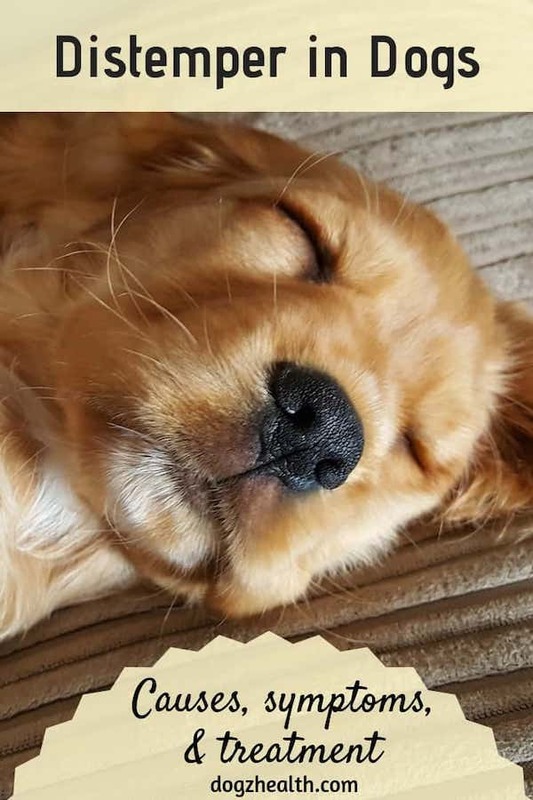 All puppies should receive a series of vaccination beginning at 8 weeks of age, and then every 2 to 4 weeks thereafter until age 16 weeks to ensure full protection during the first few months of their life.